HOARDS of people on every side of us. Lines of tour groups shouting to each other, tour guide stopping in the middle of the sidewalk to tell a story to a group of people who aren't listening or can't hear. It was a nightmare. 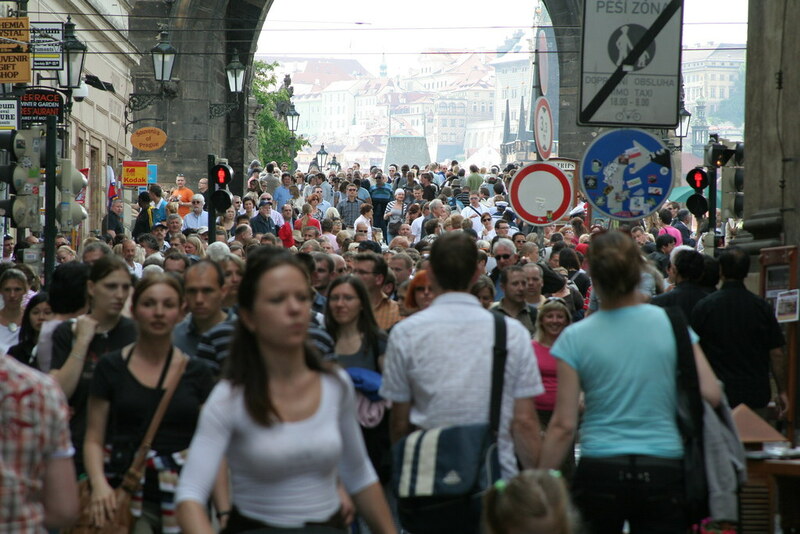 Now, I will say, this street is the most famous street in Prague and the middle of the day, the crowds being drawn to the Charles Bridge, pour out onto the street and it is almost impossible to move around the hoards of people. We were desperately trying to make our way down the road, towards where we thought the entrance to the Clementinum was located. Our Google maps had directed us this way and being the first time we were exploring the city we didn't know where else to go. After about 10 minutes we realised we had to get away from this crowd. My social anxiety was through the roof, and I needed a breath. 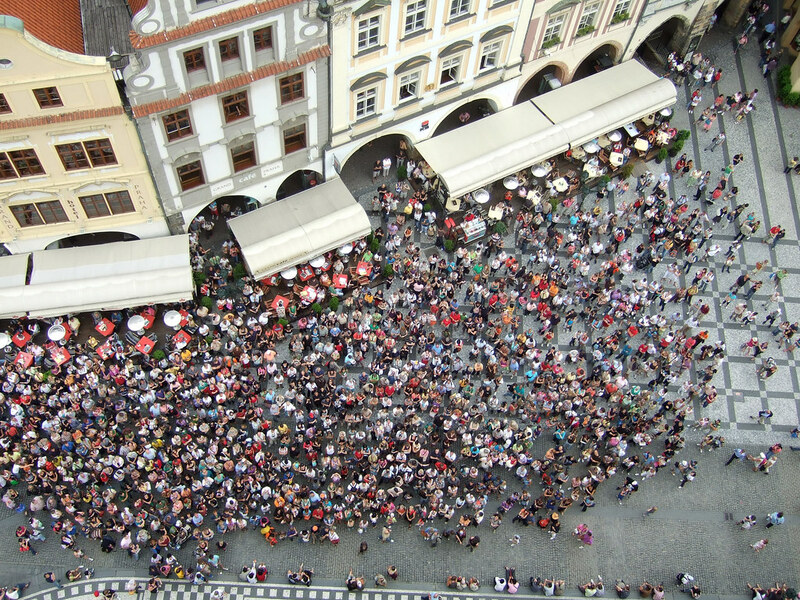 And this was the moment we made a big realisation in Prague if you move one street up or down from where all the tour groups and crowds are you suddenly come upon an almost empty oasis of space. Look at this view? A mere few people walking down the street. In Prague, this was the real secret to having a good time. Most of the people that add to the overwhelming crowds are only there with tour groups, possibly for the day, and only want to see the big sights and move on. Moving away from these people, allows you to see the real city and enjoy the beauty of Prague without all the annoyances of silly tourists. This same thing allows to seeing the Astronomical Clock in the Old Town Square. 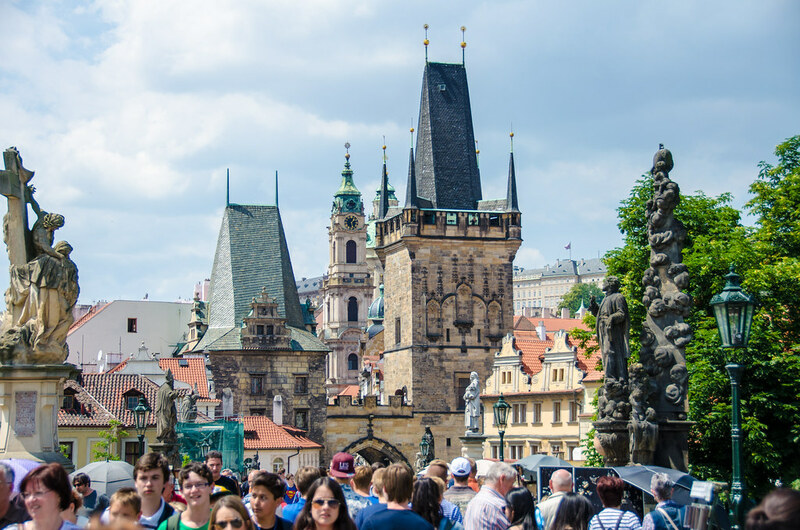 For the most part, the enormous size of the old town square means that even with a lot of tourists inside it, it still feel open but ever hour, hoards of people gather near the clock to see a little show that takes place on the astronomical clock. Honestly, although I do think the show is worth seeing, I don't believe you have to see it in person. Check a video out on youtube and watch it there. Because if you want to see the clock during the show, you'll have an awful view but if you go up and want to get a close-up view of the clock right after the show when everyone has dissipated, you'll be able to get right up close! 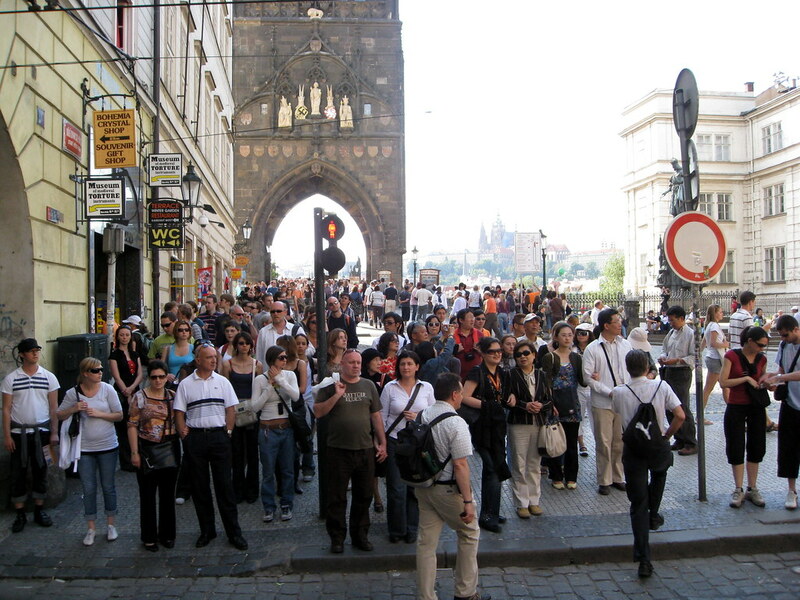 After adjusting to the new world order of Prague, I settled down, and I would advise if you suffer from any pubic anxiety, take these tips in stride and don't be afraid to take a moment, step back and find your way around this city.